Las Falles is a traditional celebration held in commemoration of saint Joseph in the city of Valencia, Spain. Within the city, each neighborhood is assigned a group, the Casal Faller, that will hold fundraising dinners, events, and parties in order to fund the construction of a falla. Mostly constructed of cardboard and paper-mache, the Fallas are filled with fireworks and firecrackers. 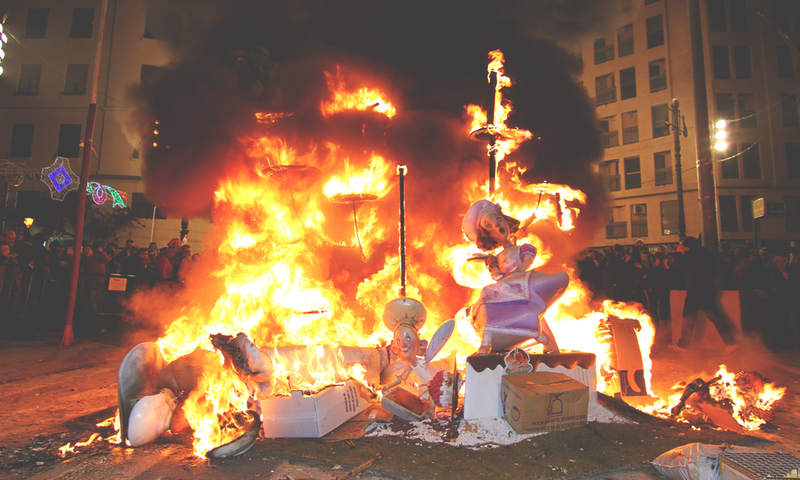 On the final night of this 5 day celebration, the fallas go up in flames. The entire city is engulfed with thousands of humans celebrating in the streets as they watch the fallas burn. 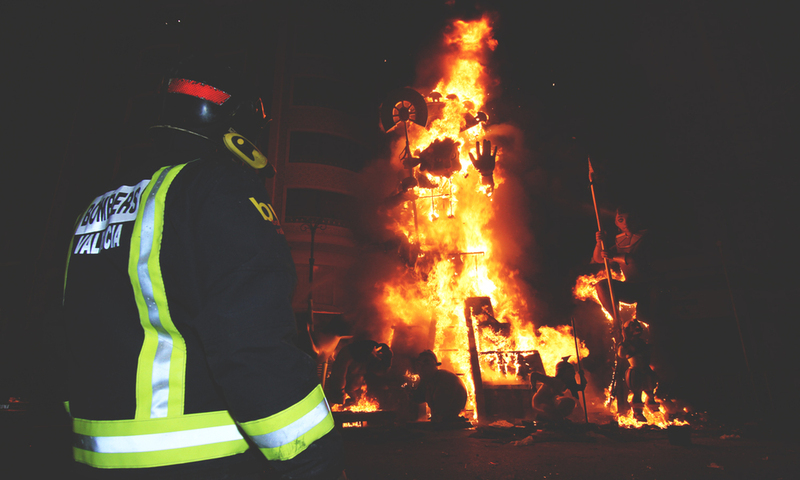 The term Falles refers to both the celebration and the monuments burnt during the celebration.